I never like it in these situations when Frank posits questions as opposed to reassuring what WILL happen. Lol. Here’s hoping the Low stalls or gets tugged. It has been snowing heavily here for about 20-30 minutes now. Minor accumulation but starting to really get going now. This is amazing. Is this thing still supposed to be ending tomorrow morning or that is only if it stalls off the coast? Are we starting to see where the heavy banding is setting up?? Let’s see how it plays out. RADAR LOOKS AMAZING east of us in Westchester/Fairfield...looks like hours of solid rates incoming! 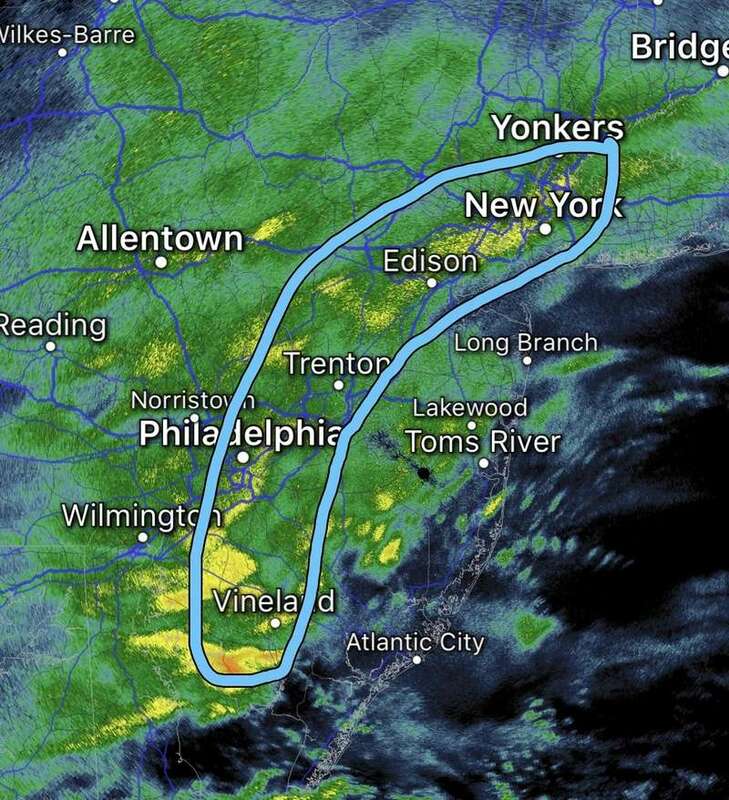 SoulSingMG wrote: RADAR LOOKS AMAZING east of us in Westchester/Fairfield...looks like hours of solid rates incoming! I thought it was out to sea, all was lost, and the storm was over???? 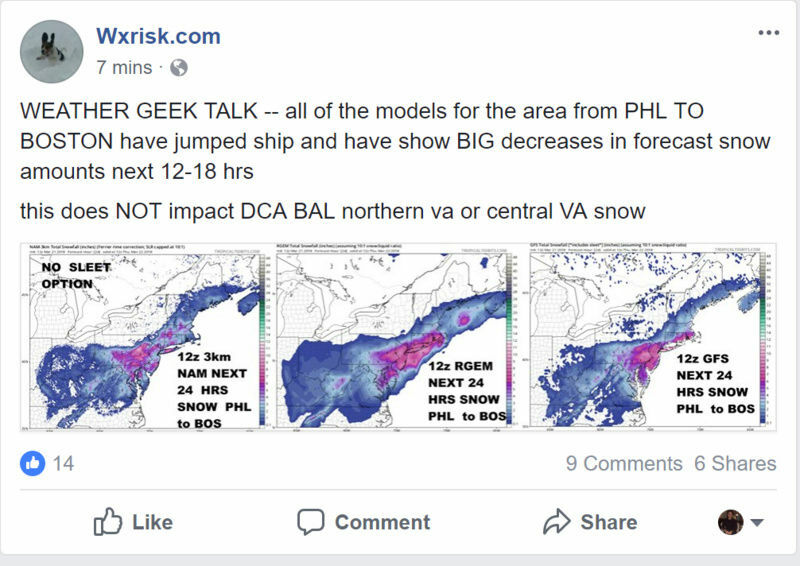 Lol, annnnnd just as my hopes get high, I go on Twitter and he's touting the latest HRRR. Will that become my second most hated model after of course the GooFuS? We'll seeeeee. Here's a nice satellite view of the storm. Hit the arrow lower left side. Quickly acclumated a little over 2" snow now. I live in Tarrytown. Its 30 degrees, slight wind....moderate snow with the ground showing signs of sticking. Hard surfaces showing sticking, lightpoles, mailboxes etc. I wonder if everyone else "in the know" is seeing something we aren't as of right now. But i do notice a tendency from people to go "off the rails" if they dont see noticeable precip accumulating in their favor. Im more patient, thankfully. This storm isnt even at its near peak yet, and the best time is upcoming, and lasting til tomorrow morning. "Mayor de Blasio and Gov. Cuomo both warned the evening rush -- specifically from about 4 p.m. to 10 p.m. -- would be an abject nightmare, with blizzard-like conditions expected throughout that six-hour span. Thundersnow is likely. Cuomo did the same for New York City, Putnam, Rockland, Westchester, Nassau and Suffolk counties early Wednesday afternoon. Three hundred National Guard service members have been activated and are being deployed to impact spots." The KOD when the two stooges team up, hope I'm wrong. Frank_Wx wrote: The southern-most low will soon begin feeling the affects of the closed 500mb low entering the Mid-Atlantic. Question is, can this low remain close enough to the coast so it can be tugged west a bit. Or at least stall. Dunno, CP, not feeling the love here, 1:45, a dusting and nothing at all now.Hope rb is right.To me, we have a block up here. When do we call this a bust? Snowing hard here for last 2-3 hours consistently. It is going to get worst in coming hours. Close to 4". My street is getting covered now. Total snow accumulation 1.75 inch so far today. 29 degrees and REALLY snowing heavily now! About 2"/hour rates! 8" so far. Marlboro NJ (Western Monmouth County) 33 degrees, maybe 1 inch on ground looks like heavy flurries right now. Nothing sticking to pavement or any concrete. Husband and daughter keep telling me it's a bust...I'm not having it!!! My street is now snow covered. From my home, I can see Mt. Pleasant Ave a bit and you can still see blacktop.